I just love the Gingiber critter panels. I think their original one – at least the first one I saw – had a cute bear. I avoided buying it for a long time…but man it was cute! Their next panel had cats and I loved it even more. 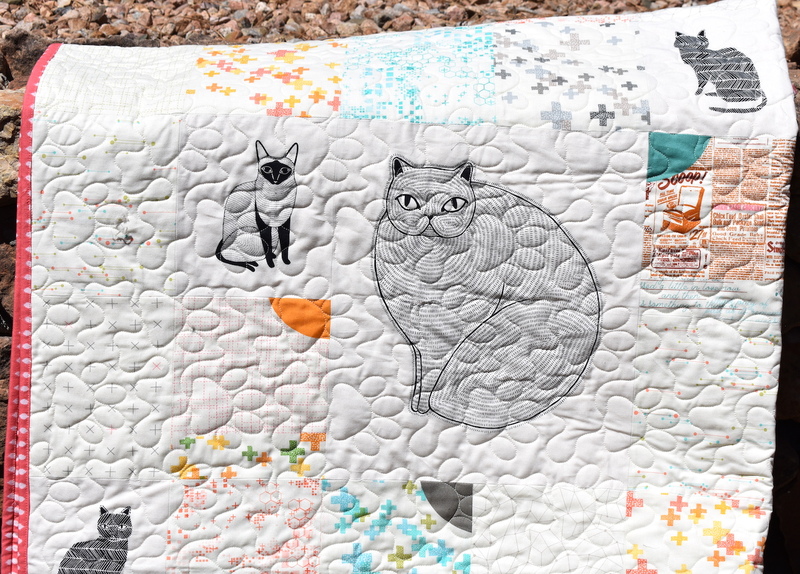 To make up for lost time I bought both a quilt kit with the cat panel from my local quilt shop, as well as a bear panel! 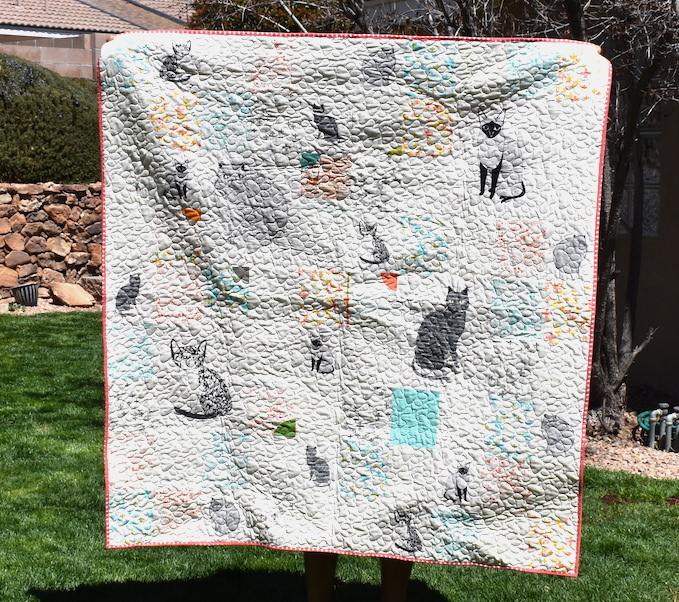 I got a chance to put together the cat quilt top at my last retreat. 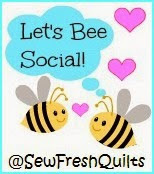 Another local quilt shop was having a clearance sale so I stopped in to buy a backing. 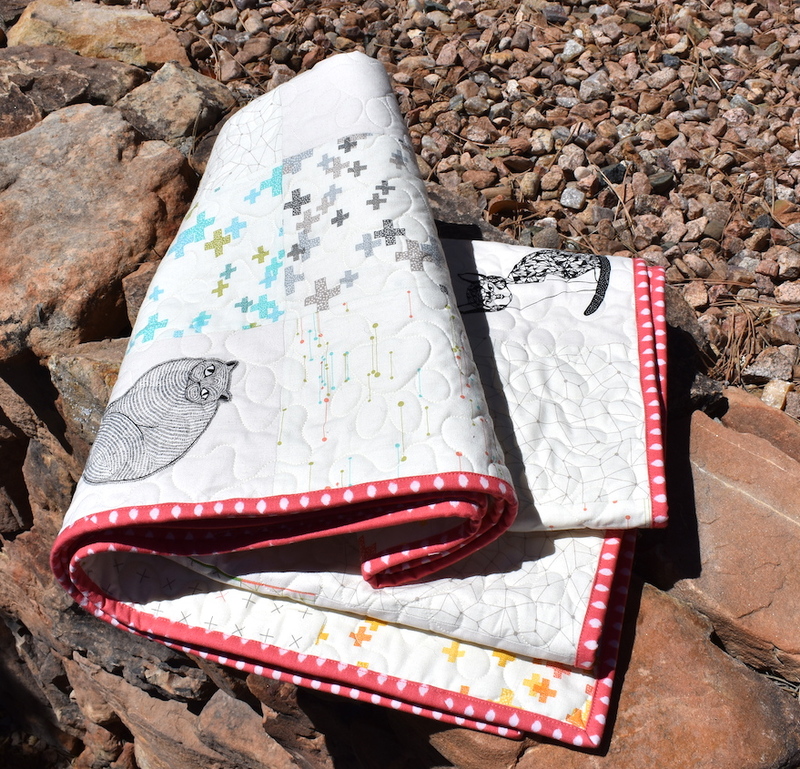 Also, I had recently splurged on a paw print digitized quilting design that I thought would be so perfect for this, so it all really came together! It was a really bright sunny day when we took photos. 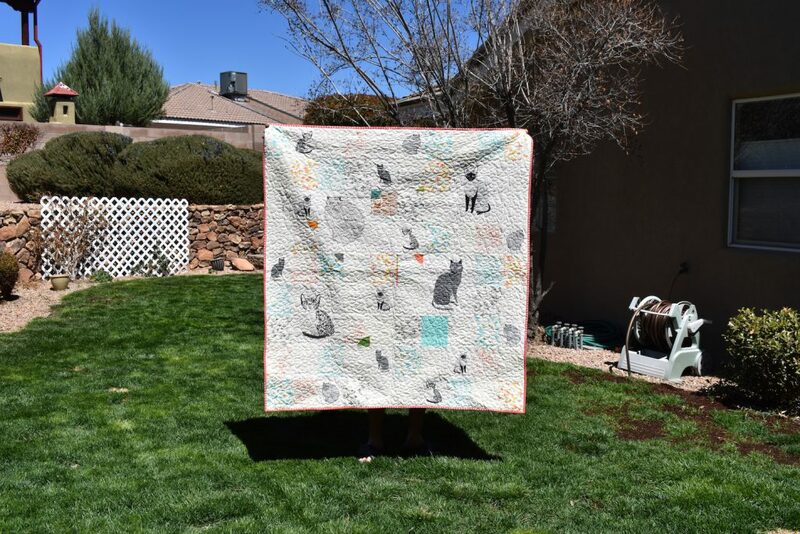 Lovely day – terrible for taking photos of a cream low volume quilt. These photos make it really hard to see the quilt! See? 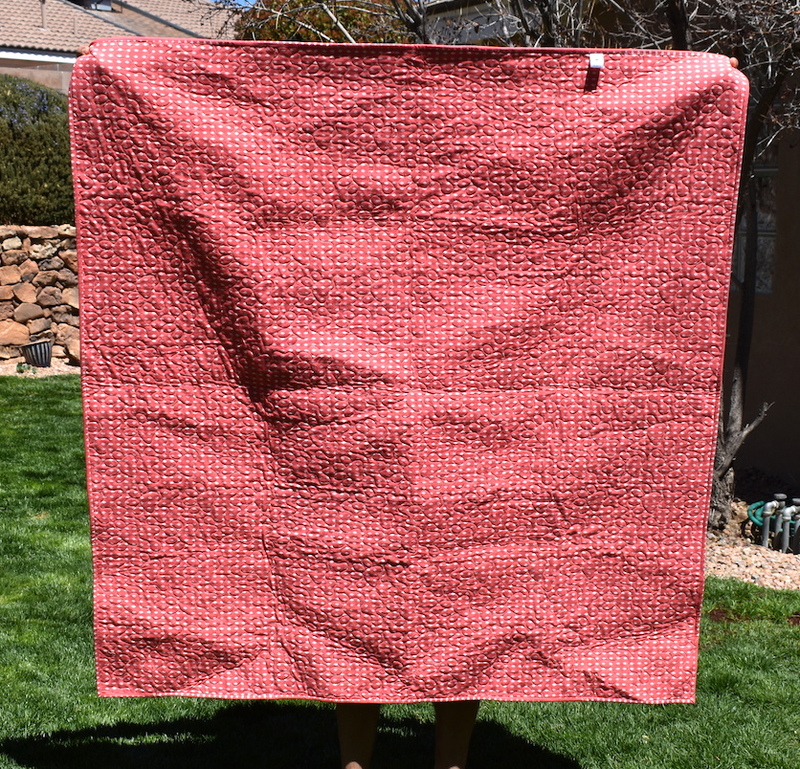 Between the sun, the low volume fabrics and the texture of the quilting it is really hard to see the actual quilt. It is made up of parts of the cat panel as well as Modern Background Colorbox prints, then that one aqua square for interest. 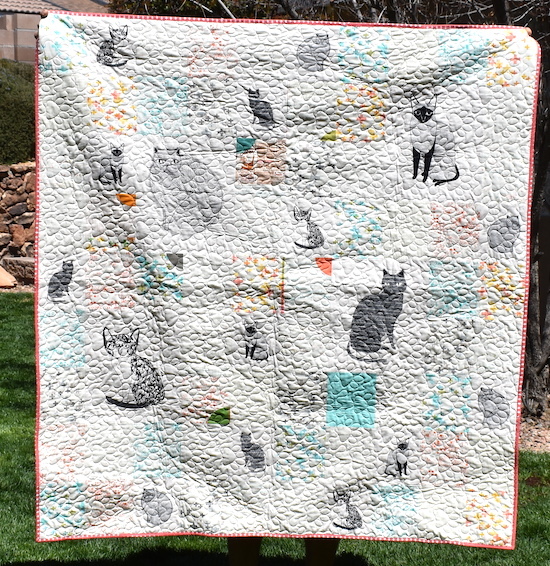 It is really a cute quilt – it’s too bad the photos really don’t show it very well at all. 80,901 total quilting stitches. Paw Prints digital pantograph from UrbanElementz. This was a finish on my Q1’19 FAL list so I will be posting it on the FAL linky right now because it closes soon! I feel your pain. Sunny days are horrible for trying to get good quilt photos. 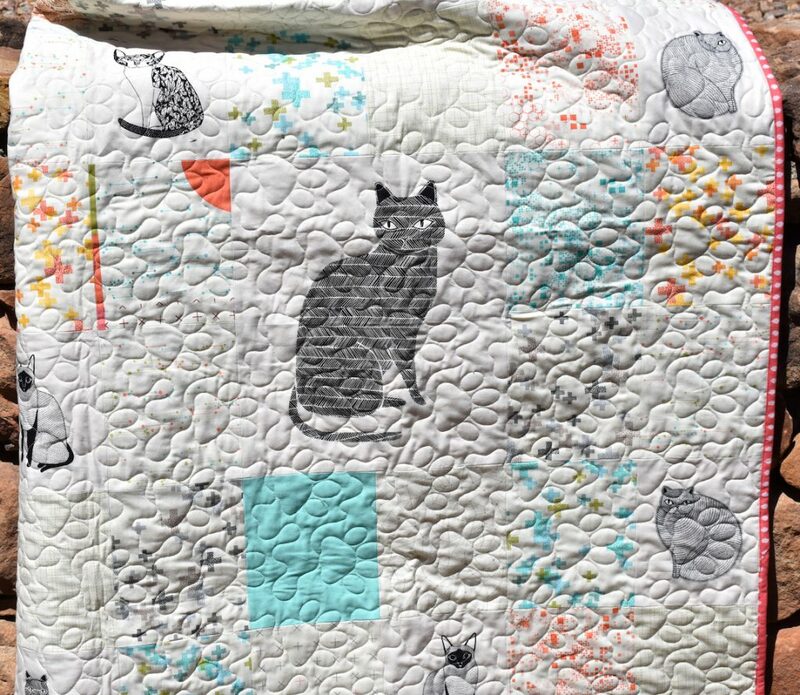 Sure is a cute quilt though. Those cats are adorable. Thanks for linking to Wednesday Wait Loss.